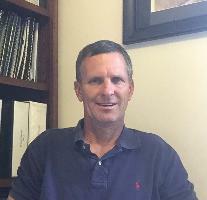 Bryan Sperry is the founder and managing broker of Sperry Properties, Inc. He has extensive experience with leasing, sales, investment, valuation, remodel and construction of commercial properties. Licensed in the State of Colorado since 1987, Bryan has provided top performance for his customers through both bad and good market cycles. Bryan has been qualified as an expert witness and provides testimony for commercial property valuation and lease litigation cases. Bryan's focus for his customers is to add value to each transaction. He provides commercial real estate investment success for clients through his focus on cash flow and cash on cash return. Bryan takes particular pride in the fact that several of his clients are some of Denver's oldest and most experienced in the commercial real estate industry.